Brighton – it’s one of those cities that has a thousand different travel articles written about it, all with the same top ten destinations to visit as a tourist. But if you want to actually experience the seaside city, and I mean really experience it, then you may want to follow this guide; written by a student. Of course there are the obvious destinations that you need to visit in Brighton including the Pavilion, the Brighton Palace Pier and the i360, however there’s a handful of hidden gems along the seafront that, even as a resident, you’ll constantly walk past with the intention of someday wandering inside but never actually getting around to it. One of these gems being The Fortune of War pub. Shaped like an overturned ship, the only thing ‘traditional’ about this pub would be the decor. Having opened its doors way back in 1882, with more contemporary entertainment, food, drink and a glorious view of the sea, this more unique locale serves as somewhere to put on your checklist on your travels. Venturing further inland, and by that I mean just over the road from the seafront, you’ll find yourself in the lanes; one of the most iconic areas of Brighton. From expertly crafted cocktails and gourmet restaurants, to vintage clothing and sculptures made from chocolate, there is always something new to discover. 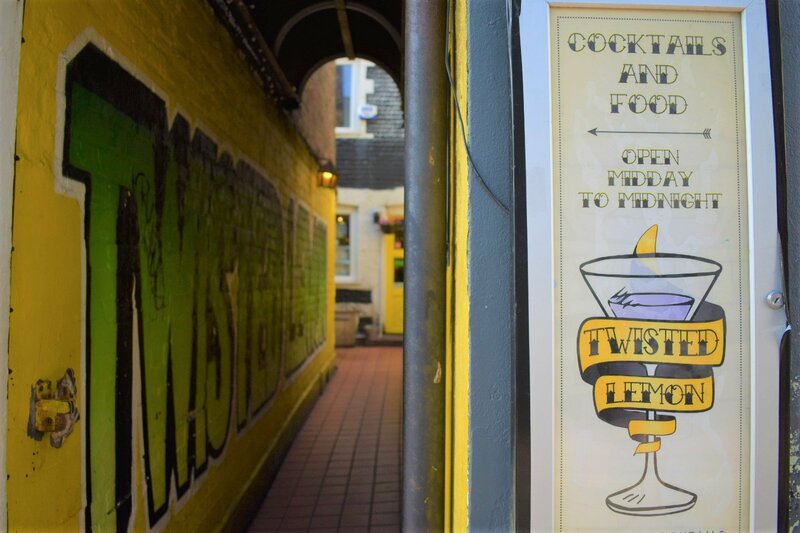 And speaking of cocktails (which there is always time for), hidden down an alleyway on the entrance of Duke’s lane you’ll find the Twisted Lemon, serving uniquely crafted cocktail concoctions to satiate your thirst in a relaxed and homely atmosphere. Further down into Ship Street lies the Trading Post Coffee Roasters, a cafe who’s food and coffee I personally am yet to find an equivalent to in this city. 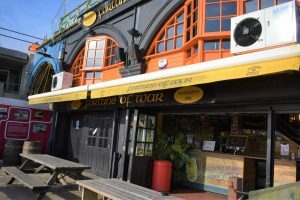 Providing delicious options for all palettes, including the vegetarian and vegan, this cafe is always booming with business. The temperate climate is always welcome on a freezing day and that warmth is extended to you by the food and coffee which is easily worth more than what is being charged. 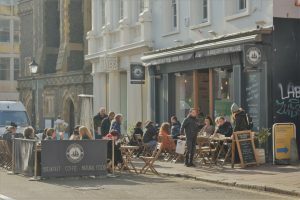 If you’re looking for somewhere more indie and quirky to enjoy, you may want to take a look at the Kensington Balcony Cafe situated on, funnily enough, a balcony at the entrance of Kensington Gardens, just above the North Laine. Watch the hustle and bustle of the popular gardens down below while you enjoy some highly rated food and drink before you set out on your adventures again. For any Brightonian, a piercing is seen as another rite of passage. Known as one of Brighton’s longest standing tattoo parlours in the heart of the North Laine, Angelic Hell has a reputation of consistently delivering high quality tattoos and piercings, and even offers all piercings for £15 on Fridays! In order conclude your trip and to see something that is just “so Brighton” you may want to spare an evening to visit The Green Door Store. Featuring live music from acts with big reputations to those with little to none, you’re sure to hear some of the city’s up and coming bands, groups and solo acts looking to entertain you for the night.